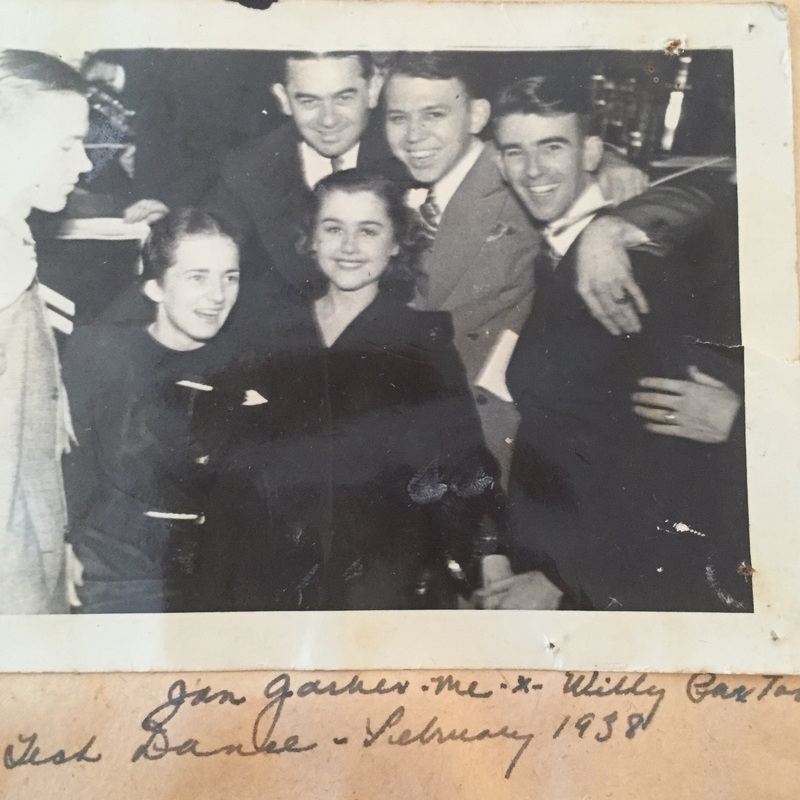 Meet my father–orphan, teetotaler, puller-up of bootstraps. 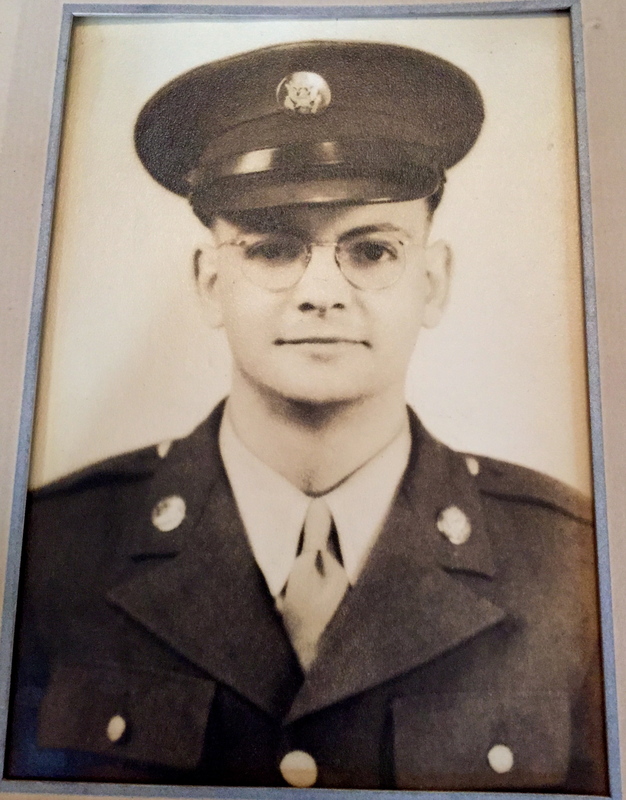 WWII Veteran, Laundromat owner, Roman Catholic, one-eyed tennis ace. Successful man of business, devotee of Big Band music, swing dancer, and apparently, a closet romantic. 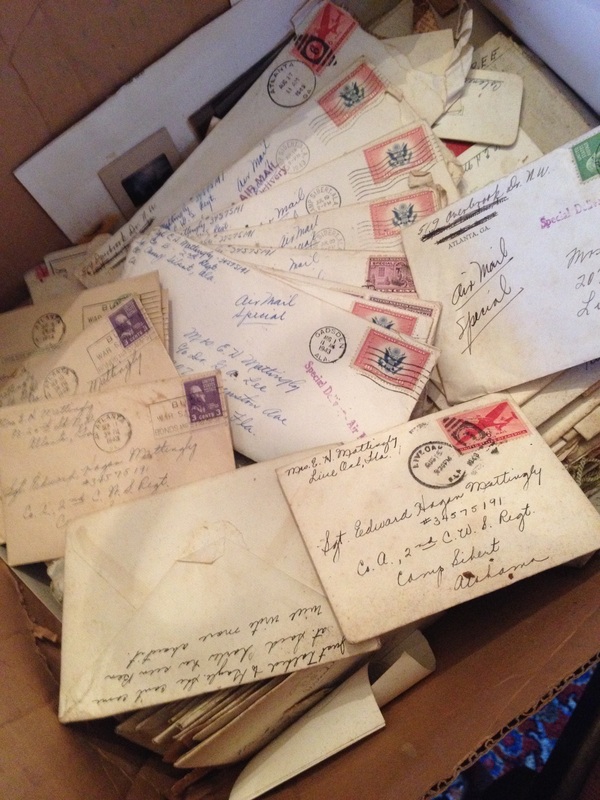 With Valentine’s Day on the horizon, it seemed high time I opened a few of the hundreds of letters we’ve found stashed willy-nilly in rotting cardboard under the attic eaves. There’s quite an array–notes from my grandparents to my mother, my mother to my aunt, my father to his aunt, my sister to my mother and my brothers and me and vice versa, my best friends to me and my cousin to my mother and back to their father. Then, take all these fine folks and shuffle them in whatever permutation you like, and I’d bet a crisp dollar my mother’s attic houses some sort of missive between them. 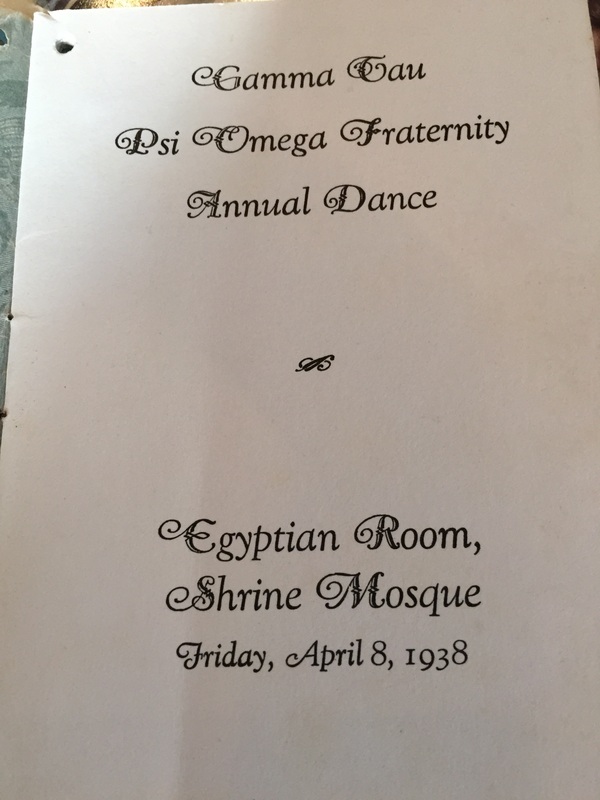 It’s overwhelming, the reams of yellowed paper and the lines and lines of grimy print, overwhelming and dear and on some other day, I’ll fret over how sad it is to think our grandchildren won’t even know what they’re missing. Or will they? Maybe they’ll get a hankering to jet through cyberspace in search of our late children’s texts and Instagrams. At least their hands will stay dust-free, carpal-tunnel notwithstanding. In case you didn’t know–I’m in love with you, Young Lady! There’s something in my heart that keeps saying, Sara, Sara! I want to have you as my own, to make you happy, to love you the rest of my days! That voice rules me. I’m helpless under its spell–and terribly happy in being so! Dad had a rough childhood. He lost his mother at four to the 1918 flu epidemic. His father, a sweet man when sober but mean when not (which was all too often) wasn’t up to raising three kids. 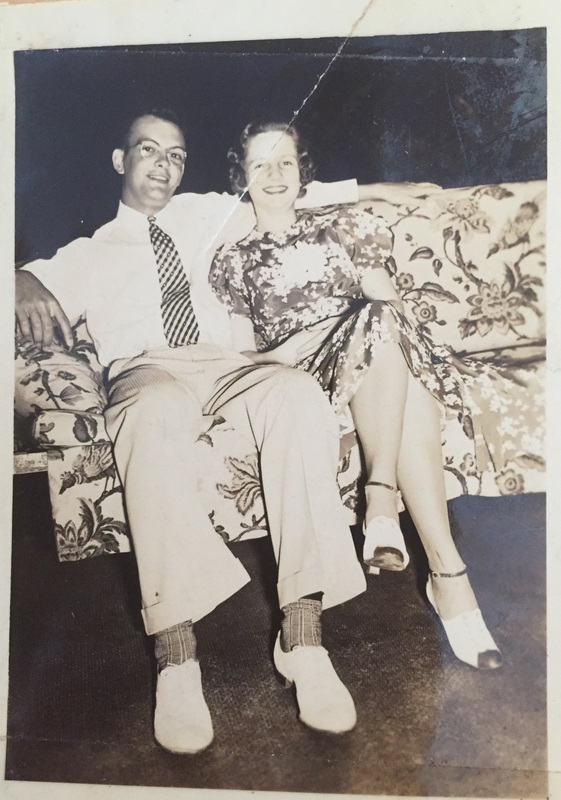 Dad’s baby sister was sent to a convent, my father and his older brother to an orphanage, until the day his spinster aunt stepped in to adopt them, making do on her secretarial salary even through the Depression years, which hit, and hard, when Dad was a teenager. Yet somehow, my father emerged level-headed, steady as she goes, bound and determined to build his American dream, along with the stable family he never had. I can see myself racing to catch the train. Everyone will wonder why I appear so excited. They would be, too, if they were going home to make final arrangements for marrying the loveliest, the sweetest, the grandest, the most wonderful girl in the world! (Pardon my exuberance–you see, I’m in love!). My mind will be glued on one thing–you–on the vision of your face, the sound of your voice, as you whisper in my ear that you love me! When I drive in at 207 Helvenston Street, you had better watch me! I’ll be so happy at seeing you I might sweep you in my arms and kiss you right there in broad daylight! In seventeen four-page letters over the course of six weeks, often two in one day, my father thus expounded, with great urgency, on the attributes of true love (the fruits of life-long cooperation, finding the path to true happiness in each other …) My mother, oldest daughter of a small-town dentist, was home with her parents in north Florida, busy planning their big day. He addressed her as her My Sweetie and My Dearest and Bright Eyes (that one stuck), and he signed off as Matty, or Your Own Devoted, Ed. My mother answered, in more practical and compact prose, by confirming her devotion then moving quickly to the details of the ceremony. In fact, there’s an anxiety between the lines in these letters, one that had to do mostly with religion. My mother was raised Southern Baptist, my father, Catholic. They met at a fraternity dance in Atlanta, Mom a freshman at Agnes Scott when Dad was a junior at Georgia Tech (he worked for three “gap” years to pay his way). My mother loved the city and the social life. 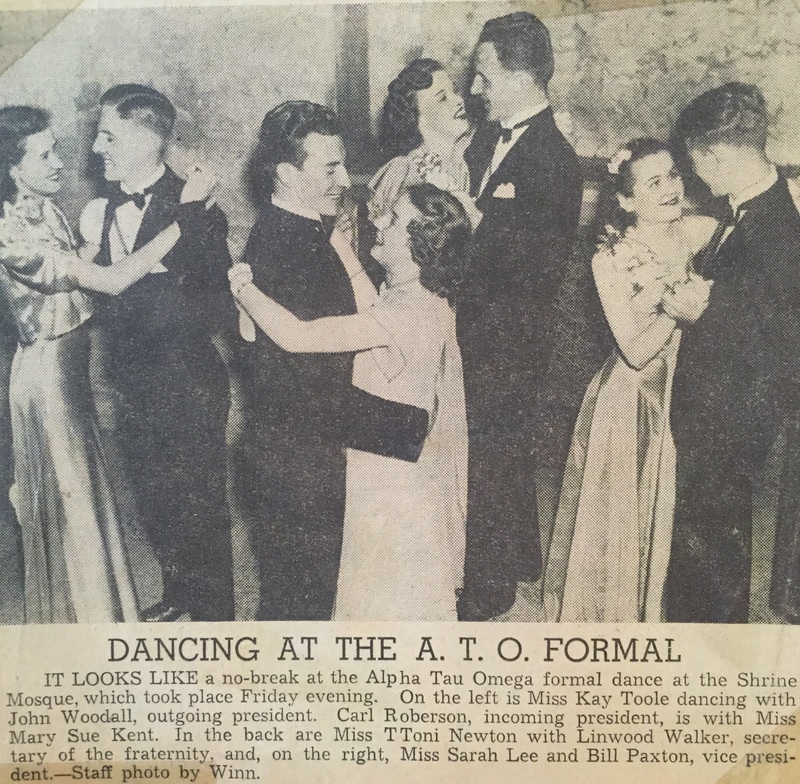 She dated lots of boys, and danced with even more, but my father was the smartest of them all. “I knew I’d never be bored with him,” she used to say. And the line-up … This Frank was a bit smitten. 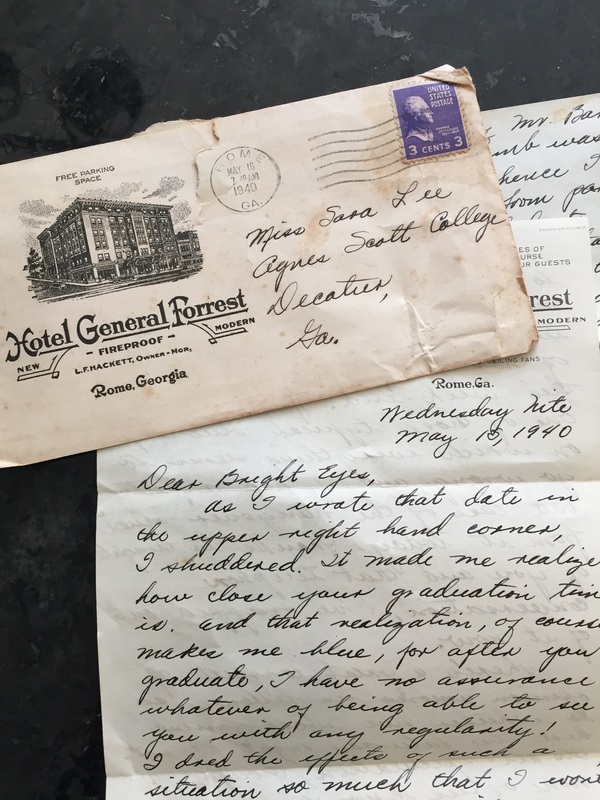 She kept a few of his letters, too. Though my Baptist grandparents liked my father, they didn’t cotton to Protestant and Catholic commingling. They would eventually come around, but thornier problems arose. There was no Catholic Church for miles. This was the Bible Belt. An itinerant Catholic priest made his rounds through town maybe once a month, but he was less than dependable and say they could get him there–where was there? Would they marry in the high school auditorium? The courthouse? The local 4H? Or maybe outdoors? The wedding date was set for November 8th, the announcements ordered, but this was north Florida. You couldn’t trust the weather. My father, who loved little better than a clear blue day, wasn’t worried. 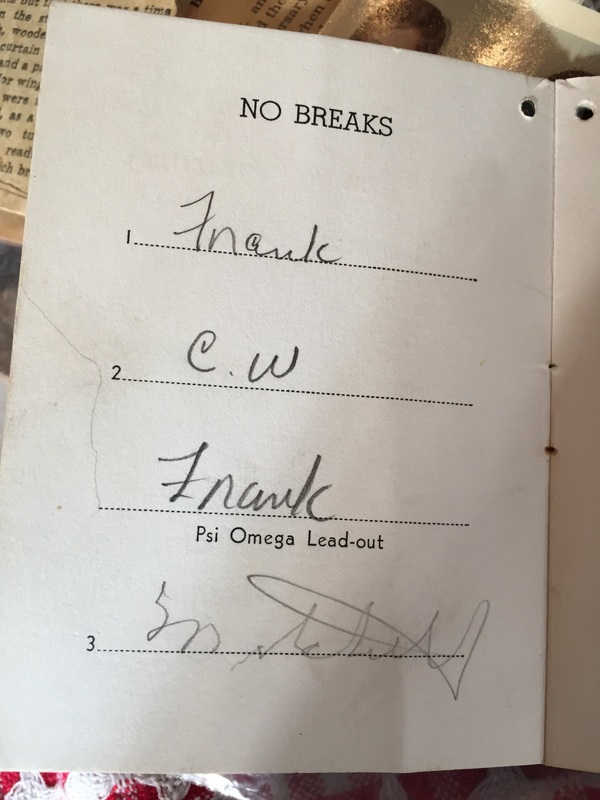 November 1st, 1941, from his aunt’s apartment in Atlanta—It looks like I was a bit off in my prediction about the full moon. Tonight, old man moon is almost full. He will have grown to his full size by Wednesday night, but he will still be pretty Saturday night, even if he does get up later. More important than the moon is the weather in general! We can very well sacrifice the moon for two beautiful days Friday and Saturday! Well, like my father and his moon, I’ve waxed on far too long today. I mean, you know the ending, right? So go take a spin around the dance floor this Valentine’s Day Eve, and feel free to tune in tomorrow to learn how ol’ Matty manages to win his best girl. I patterned my own November nuptials to be much like Aunt Sara’s lovely garden wedding, but it rained and rained which, although not unusual in North Florida, ruined the plan of my own wedding being staged outside in the Lee garden, and so the entire affair was moved inside my grandparent’s home located at, you guessed it, 207 Helvenston Street, Live Oak, Florida.